The government needs to scrub Social Security numbers, passport data and other personally identifiable information of service members and others making international moves before selling data to third parties and putting individuals at risk of identity theft and other problems, according to a coalition of groups representing the interests of those who make international moves. “The problem arises when Americans’ [personally identifiable information] is inadvertently included in what is sold by [U.S. Customs and Border Protection] and released online by trade press,” the coalition stated in a Nov. 5 letter to Sens. Mitch McConnell, R- Ky., and Charles Schumer, D-N.Y., urging them to quickly pass legislation to address the problem before the end of the current legislative session. “Every day that elapses without Senate action exposes another service member, and their families, to credit fraud and identity theft,” the letter stated. A proposal, S.998, has been introduced in the Senate by Sens. Steve Daines, R-Mont., and Gary Peters, D-Mich., that would direct the U.S. Customs and Border Protection to scrub the personally identifiable information before selling shipping manifest data to trade press or other third-party data brokers who publish the information online. A companion bill unanimously passed the House of Representatives on April 17. Active-duty military and foreign service personnel represent a large portion of international moves, according to the coalition. This is a longstanding issue, the coalition members said, citing an example of one family who had relocated, and, in 2013, found their Social Security numbers online, along with the Social Security numbers of nearly 200 other individuals who had also recently relocated. U.S. Customs and Border Protection officials declined to comment on pending legislation. In its efforts to protect the U.S. from harmful cargo, the CBP collects manifest documents for all inbound containers — freight shipments as well as containers with Americans’ household goods when they move internationally. The forms often contain Social Security numbers, passport data and other personally identifiable information. The problem is more on the inbound side coming to the U.S., because a manifest document has to be submitted. But anyone would be compromised if they have to submit a manifest document, according to the American Moving & Storage Association. By law, CBP is directed to sell the bulk manifest data to “trade press” or third-party data brokers so that taxpayers won’t bear the financial burden of collecting the data. In turn, the data is published online, used by various interested parties for macro-economic data studies and import/export analysis. The problem arises when the personal information is inadvertently included in what is sold by CBP and then released online by the third party. “While these victims often mistakenly blame their moving company, the reality is that flawed procedures employed by the U.S. Customs and Border Protection are exposing people to these risks,” said Paul Milotte, vice president of government affairs for the American Moving & Storage Association. “This legislation, which has no opposition, is the only way to stop this from happening,” he said. Consumers can fill out a form that excludes their data from the sale, but that process is broken, the coalition stated. Many consumers aren’t aware of the opt-out process. The process also requires that consumers submit the request 90 days before a move — which is “impossible” for most military moves. And the majority of those requests aren’t processed by CBP until after the move has happened, so there’s no protection for the information, according to the coalition. 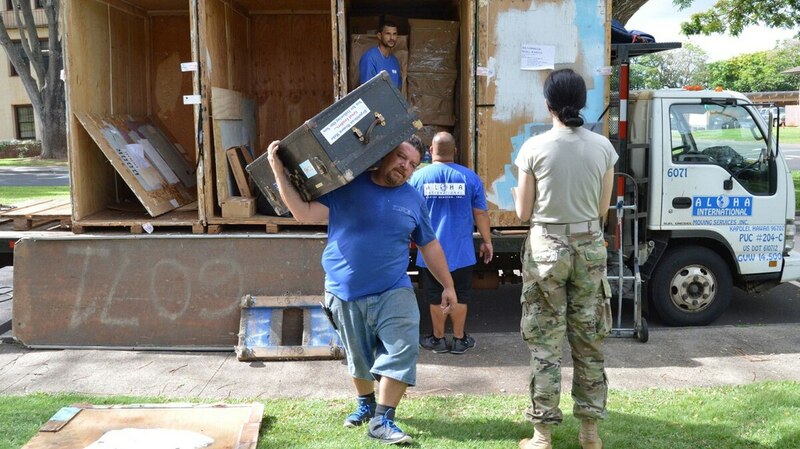 In addition to the American Moving & Storage Association, the members of the coalition are International Association of Movers, Air Force Sergeants Association, American Foreign Service Association, Association of the U.S. Army, Association of the U.S. Navy, Fleet Reserve Association, National Active and Retired Federal Employees Association, National Association of Federally-Insured Credit Unions and National Association of Realtors.